Golf is meant to be a connection to the land and one’s self. Unfortunately, the pace and sandwiching of golf with other activities at most resorts do not allow the golf experience to be more than a ride on a cart through manicured grounds. Not so at the Prairie Club. This is not a golf resort. This is a retreat into what golf is meant to be. 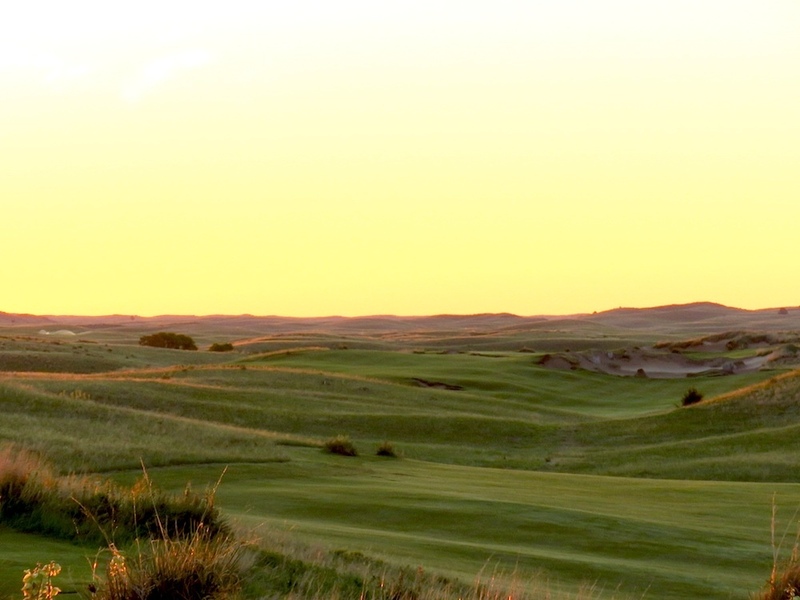 Nestled in the sand hills of northern Nebraska, The Prairie Club is really about making those connections between the game and your golf soul, with the terrain of the course as the confessional and conduit. If you want more than that, look elsewhere. However, my experience is most golfers yearn for this kind of pure, connecting experience. 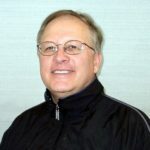 The club was the realized vision of Paul Schock, a farmer by upbringing, who played competitive golf growing up and made his connection between the game and the terra firma. The vision became a reality as the land, resources and course design almost magically came together in this unique environment. Walking around any of the courses and you have that Field of Dreams expectation that Bobby Jones or some other legend will pop out from behind a tree. It is simply that magical. Schock credits his family roots and Christian upbringing for his desire to give back to a sport where he was an accomplished competitor. He has seen the land from many perspectives. Farmer, golfer, investor and now a legacy builder. He noted that the “land in the Sand Hills is made for golf. I was also very influenced by Alister MacKenzie and his philosophies on golf and golf architecture…it’s a ball, and it was meant to roll, and it is more fun to creatively roll shots along than fly them over a pond. Lost balls are no fun.” A lofty and encompassing vision, but does it deliver? The answer is a resounding YES. Sunrise on the Dunes Course. The first draw of this place is the land as it meanders on a natural course through hills and low canyons. 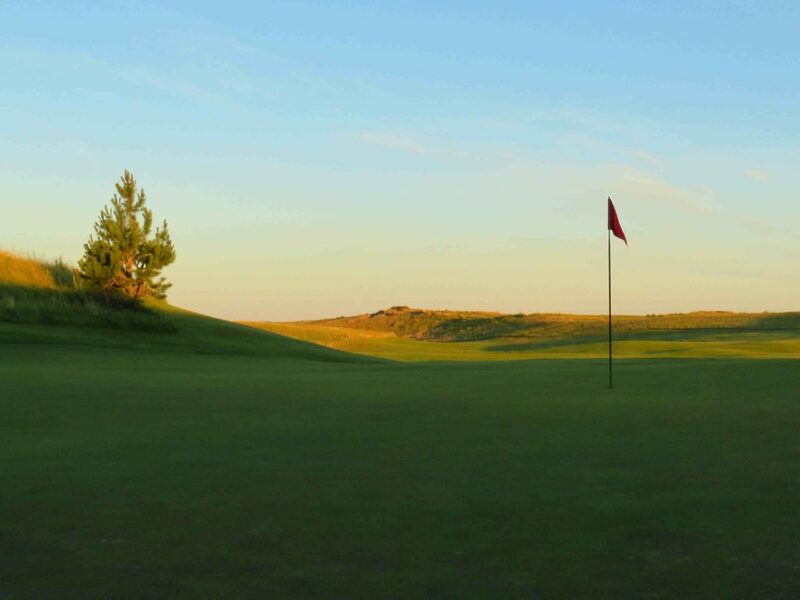 If you think Scotland has the corner on links courses, the Dunes course here is prairie links with endless playing options and expansive vistas. The Pines course is dotted with numerous pine trees and have elevation changes a plenty with dramatic canyon views. Moreover, both courses are consistently ranked in the top 100 in the U.S. When there is some energy left after dinner, their 10-hole Horse course is fantastic as it takes the game of horse and applies it to golf with the winner of the last hole determining the next tee position. A great option to settle bets and to make some more before cocktails. Moreover, all on land where there was minimal disturbance to make the course, so it retains a rustic, natural and old-west feel. Since you are in the middle of “golfdom,” lodging on the property is in order, and it is more than ordinary. 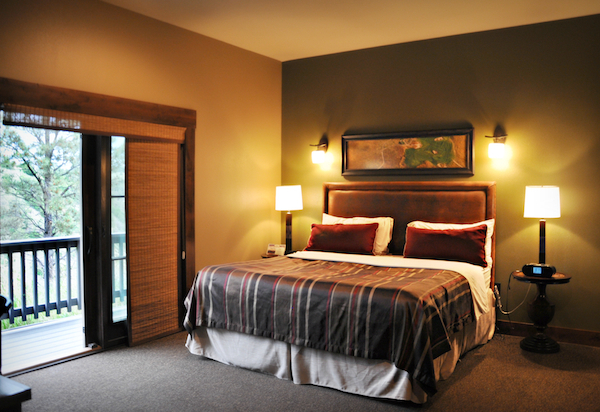 With everything from palatial and luxury cabins to their bunkhouse rooms, there is about every room option. Group, small group or single, pick your level of comfort. The cabins are optional for groups of four or more with the generous bedrooms and common areas. Dining gets the same attention to history and location. The Canyon Room offers guests a comfortable setting to enjoy The Prairie Club’s authentic, home-style prairie food. Massive ceiling and oversized windows allow you to fully capture the sublime beauty of the vista. With a view to the 18th green on the Pines Course, The Caprock Lounge is the perfect parking spot after golf. Relax by the fireplace and take in cocktails, dinner or just relaxing. Moreover, for the cigar lover, a premium selection is always well stocked. Expect some interesting food creations that take prairie history and give it a gourmet and fresh sizzle with five-star taste. 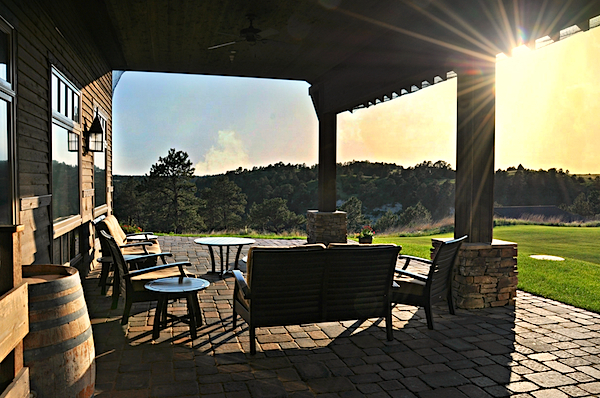 Breakfast is included with all the golf & lodging packages, and dinner can be simple to Nebraska big. With a cold one, start with the Fat Tire Onion Rings – Fat Tire ale-battered, red pepper & horseradish aioli. You are in the land of Nebraska beef, so belly up for a New York Strip or a Filet Mignon with blue cheese butter and cognac demi glaze. 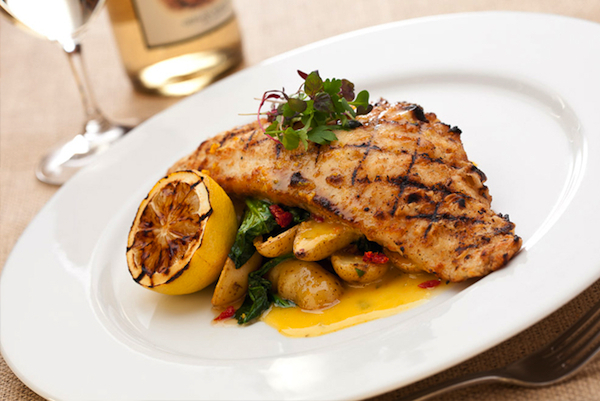 The Canyon Walleye with fingerling potatoes is one swim option with a second in real Scottish Salmon flown in daily. In prairie life, pies were king, and the homemade apple pie in the cast iron pan proves that historical accolade. After dinner, there are plenty of options on the expansive porches for cocktails, cigars, conversation, stargazing and just plain doing nothing. Then the next day starts again with great golf in an idyllic setting, time to just be and do it all over again.